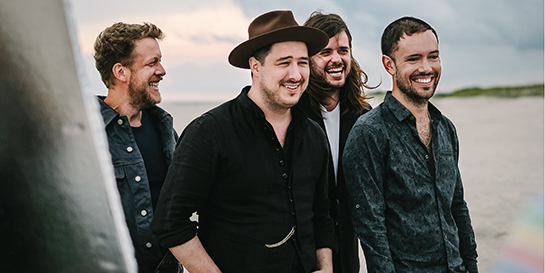 Island have been whipping up excitement ahead of today’s release of Mumford & Sons highly anticipated fourth album, Delta. The album, announced in September, comes three years after the release of Wilder Mind which debuted at number one in the UK and US. The campaign kicked off with the release of lead single Guiding Light, which premiered as Annie Mac’s Hottest Record In The World on Radio 1. Island set out with a clear vision to make the marketing of the record a truly collaborative process, focussing the campaign on both the band and the people. This involved featuring fans across their advertising, including the launch of 96-sheets across the London Underground network – something the label fought tooth and nail for, after beating off stiff competition for the spaces. The team also utilised the power of Instagram to ramp up fan engagement with a series of weekly ‘Live At 5’ streams, which meant the band were able to speak directly to their fans in real time. The campaign went up another notch last night, when fans connected around the world for a series of special album playback events. Delta was accompanied by visuals curated by, and in partnership with, National Geographic - am idea by the band, originally inspired by their own creation process of the album. Tonight the band kick off a huge, 63-date tour, starting in Dublin and arriving in London at the O2 Arena on November 29.